What if I’m being assessed or investigated by Human Services? This means that Human Services received a report about your child’s safety. The report met the state’s legal definition of child abuse and neglect in North Carolina. Social workers must assess if the child is in immediate danger and determine an appropriate response to the situation. What are Child Protective Services Assessments/Investigations? When signs of family problems, including abuse, neglect and dependency, come to the attention of Cabarrus County Human Services, it is our legal obligation to research and ensure the well-being of children within the family. Human Services agencies across North Carolina operate two types of responses to reports of child endangerment: Family Assessments and Investigations. This process is called the Multiple Response System (MRS) and gives the agency the flexibility to determine the appropriate response for the situation. Most Family Assessment reports involve cases of neglect. Together, the social worker and family assess safety, risk, strengths and needs. The family assists the social worker in gathering significant information from other family members, support systems, schools and other relevant agencies. Most assessment cases close within 45 days. But delays in receiving certain information can delay the process. 1. Services not recommended, or the case is close with no further action necessary. 2. Services recommended, meaning the family has the option of receiving services on a voluntary basis. 3. Services needed, which means the family must participate in mandated programs. 4. Services provided, meaning the family received services during the assessment and CPS involvement is no longer needed to ensure the child’s safety. When Human Services receives reports of abuse or serious neglect, or if the family doesn’t cooperate with the assessment process, there will be an involuntary Investigative assessment. These investigations use a series of interviews to gather information and evidence from the child, parents and others who may be able to help the investigation. As part of the fact-finding process, the social worker conducts interviews with the child before notifying the caretaker or parent of the reported abuse. Together, the social worker and family assess safety, risk, strengths and needs. Most investigative assessments close within 30 days, but delays in receiving necessary information could postpone the process. 1. Substantiated, meaning there is risk of future harm and the family must participate in mandated programs. 2. Unsubstantiated, meaning there is not presented evidence that suggests the child is at risk of future harm. The case is then closed. 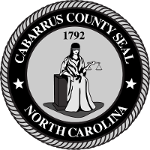 For more information, contact Sharon Shueneman, program manager, at 704-920-1400 or slschueneman@cabarruscounty.us. Learn more about state laws governing Child Protective Services.